I’m really hoping that Arizona has some charm. I’ve lived in a bunch of places in my 27 years, and I can tell you that Arizona is one of those states I never wanted to live. I love me some seasons, and fall is my favorite. The thought of living in a place that Ryan describes as “hotter than satan’s bum” does not appeal to me. However, it’s inevitable, so I’m doing my best to find a little charm in the idea of being there. Guys, I love snow. Like…I love snow. There’s a reason Ryan and I are spending our honeymoon in Quebec City in January. COLD! As an aside, we booked our honeymoon yesterday. It’s only the most amazing hotel ever, and my work in travel affords us the chance to experience it…Le Chateau Frontenac. The point is, I’m absolutely thrilled to finally be with Ryan all the time. And hotter than all get out. I guess there’s some comfort in the fact that it’s going to be just less than a year? 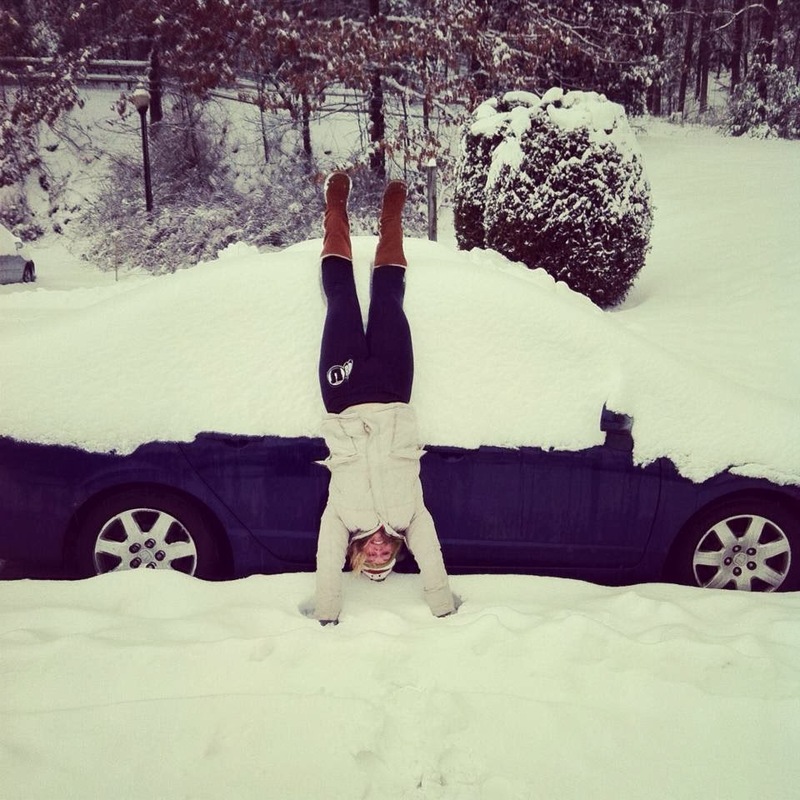 I’m sure i’ll be dreaming of doing handstands in the snow all the while.